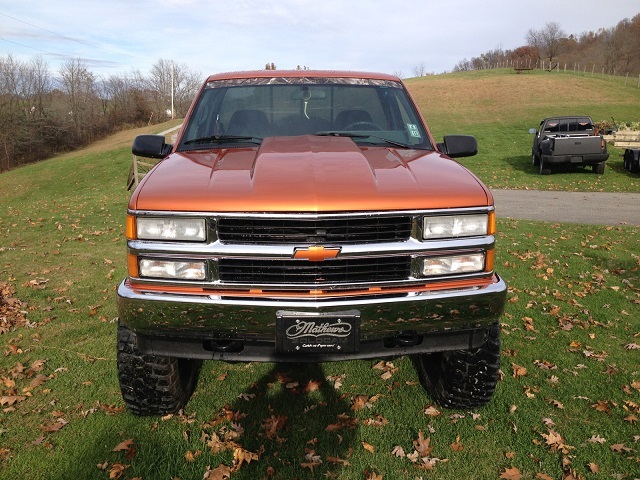 Dave and his son, Allen, have just put the finishing touches on Allen's 1990 Chevy pick-up. The project started when he was just 14 years old. It look countless late nights in the garage restyling the whole truck. 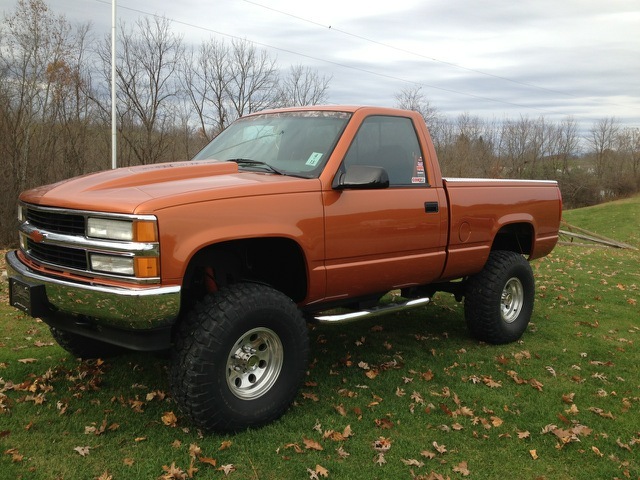 The pick-up received a new motor, new interior, all new bushings and shocks, new lines, and went from the sport sides to the fleet sides - Not to mention the new "Toxic Orange Pearl" paint. 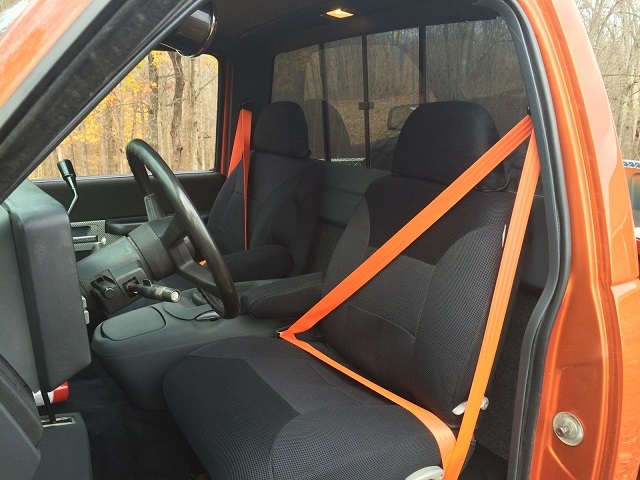 Personally, I love the orange seat belts! Thanks for lettting us be a small part of a big project. It looks great, guys! Congratulations, Allen - You've earned it.